With the cost of petrol (or gas, for our friends across the Pacific) ever rising, driving is becoming an increasingly expensive exercise. But of course there’s no avoiding it, is there? Getting to and from work, taking the kids to soccer practice, going shopping for groceries – we are all slaves to the tyranny of distance. And thanks to our “wonderful” government, public transport just doesn’t cut it. 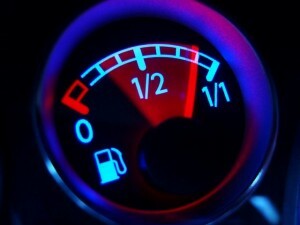 Keep your tyres inflated – next time you fill up, stop over by that “air and water” sign, and check your tyre pressure. Driving with flat tyres not only makes your tyres wear out faster, but also decreases fuel economy because of rolling resistance. Get rid of excess weight – are you around the equivalent of an extra passenger each time you drive? Think about all the excess weight that you are carrying: in your glove box, boot, and other storage compartments. It all adds up – moving all of that weight around takes energy! Avoid idling – when your car is not moving and the engine’s on, it’s still burning petrol. If you need to stop for any length of time, consider turning the engine off. If you have tips of your own on ways to save fuel, share them in the comments section below!